The Barkery Bistro is a family-owned business, celebrating 10-years, located in Greenville, SC. 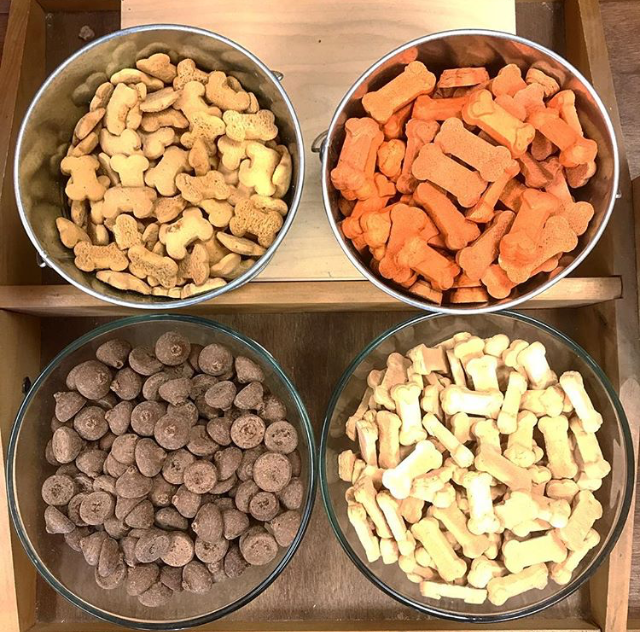 The Barkery Bistro is Greenville’s Upscale Pet Bakery and Boutique & Full Service Grooming Spa. 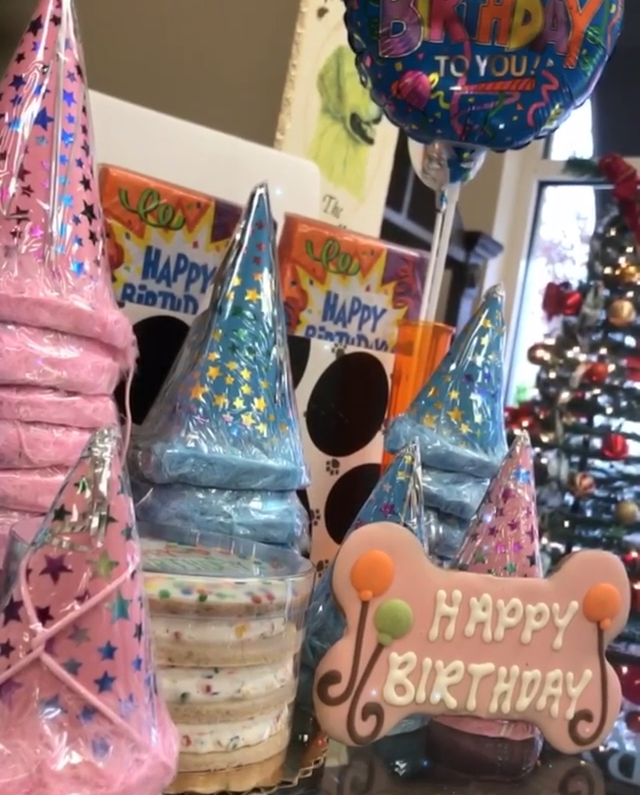 We offer gourmet bakery treats for birthdays, holidays and everyday as well as eco-friendly toys, designer collars, leads, beds, fun fashions and numerous gift items. We are also pleased to offer all-natural dog and cat foods. ...A Luxurious Bath, Mini Groom or Full Groom? Whether you have a large double-coated fluffy pup or a teacup who isn't smelling top-notch, we've got you covered. We use very high quality doggie shampoo, & conditioners that are also gentle and free of sulfates, detergents and parabens. Special shampoo is available for itchy skin or fleas. All dogs are hand blown dry; you won't find any harsh cage dryers here. ...A day at the spa? We offer a selection of many different spa day add-ons to make your four-legged's visit with us extra special. A blueberry facial, nail trim and ear clean comes with any bath, mini groom, or full groom. Facials are wonderful at gently cleansing and removing dirt and buildup--and they feel so good! Just ask Duncan! To prepare for your appointment, for new customers, please complete our online information form and also make sure all vaccinations are up to date and bring any vet paperwork with you. 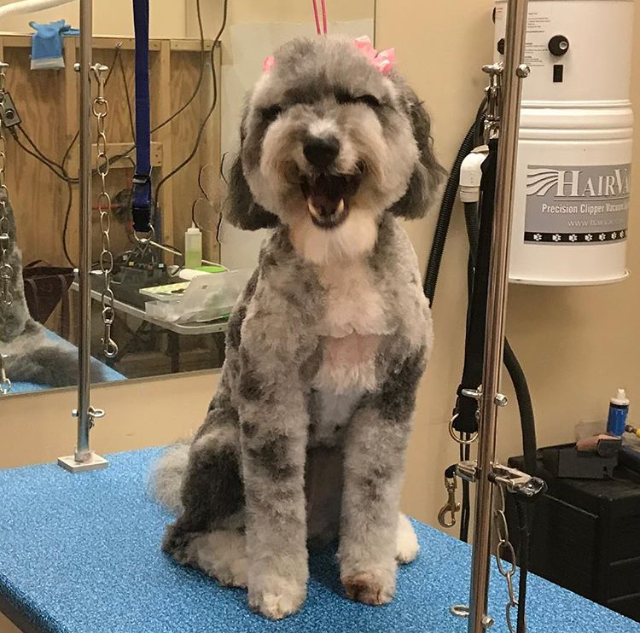 We look forward to pampering your pup! Call the Barkery Bistro at (864) 236-1503 to schedule your appointment or submit an appointment request online!